While we adults like enjoying Valentine’s Day with a romantic dinner, some chocolates, and certainly some champagne, kids have quite a different experience. If you’ve had a kid go through the elementary school ranks, you know what it involves: crafts and candy. This year, take your kids’ Valentine’s Day to a new level. These DIY crafts are great for two purposes. First, they make for decorations around the house. Hey, if you’re going to outfit your house, you might as well make it look homemade. Second, they make for great Valentine’s Day treats, whether for a special someone or an entire class. Why not get a head start on a few of these crafts today? Perhaps the post title says that these Valentine’s Day sewing cards are for preschoolers, but they’ll work well for any kid. 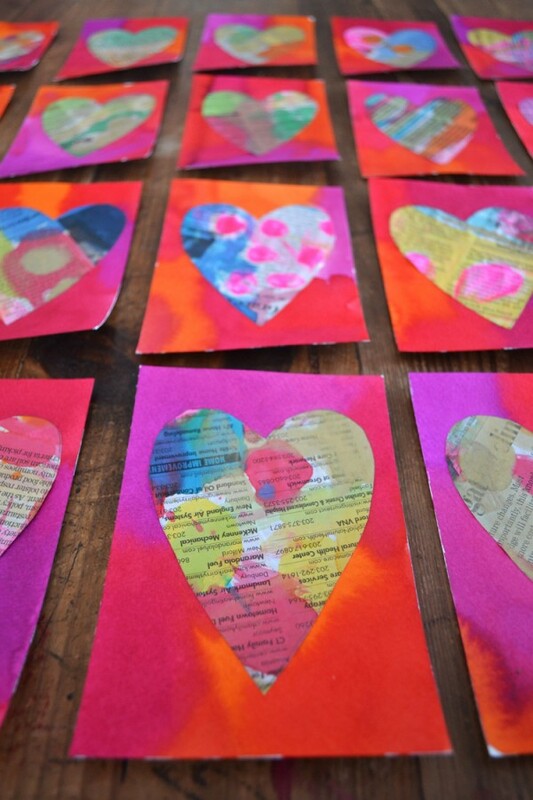 Rachelle from Tinkerlab teaches you how to create these pretty and wonderful Valentine’s Day cards from scratch. You don’t even need that many materials. Instead of buying stock Valentine’s Day cards from the store this year, why not help your child create something he or she can be proud of? They can decorate these sewn cards in infinite ways, so let their creativity take over. Get the tutorial at Tinkerlab. Here’s another homemade valentines tutorial. It involves many more materials than the sewn ones, but it also promises to be lots of fun for kids of all ages. Here’s the catch: you’ll need a newspaper or two. You still get them, right? WIth some liquid watercolor, and some watercolor postcards for mounting, you can help your kids create some authentic valentines for their classmates. This one is easy enough that they can make one for everyone, even in a big class. Get the tutorial at youaremyfave. 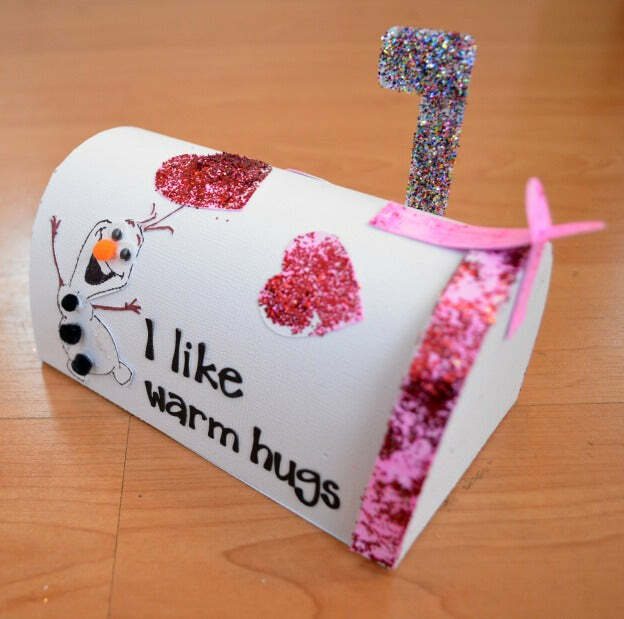 Chances are if your kids distribute Valentine’s Day cards at school, they also make mailboxes to store all of them. It’s a neat craft that they can do with the rest of their class, but let’s be real: the boxes they make in class are pretty boring. Spice things up with a fun and colorful mailbox you can make at home. You can follow along iwth the tutorial from One Artsy Mama, or you can follow the outline and decorate it any way you want. Either way, your kid will have a mailbox he or she can be proud of — not some cardboard box covered in a paper bag. 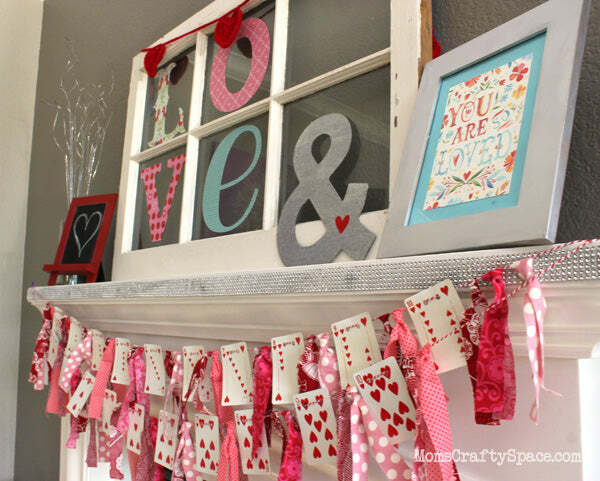 Here’s a creative and wonderfully decorative idea: create garland out of playing cards. This is so perfect for Valentine’s Day, because you can use just the hearts out of the deck. If you’re running low you can spread some diamonds in there, so maybe you can ge by with just one deck. Heidi from Happiness is Homemade runs you through the basics. All you need are the playing cards, a hole punch, some baker’s twine, and strips of fabric (red, white, and pink, obviously). Go through her easy-to-follow steps, and you’ll have a wonderful mantle or banister decoration you can bring out every February. You know what else would look great on a mantle in February? A snow globe. But not just any snow globe. Follow along with Heather from Whipperberry as she combines a few different tutorials to create a very pretty snow globe made out of a mason jar. As you might imagine, this project is pretty involved. 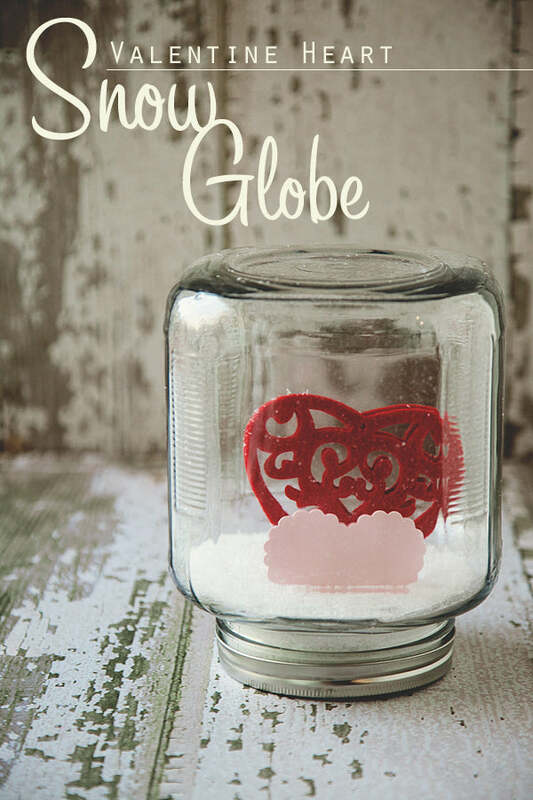 But unlike many of the crafts in this list, you can reuse this snow globe every February. Looking for a mantle decoration more suitable for a very young child? Hands On As We Grow has an adorable project that will appeal to those young kids. Best of all, this project involves very few materials and almost no time at all. 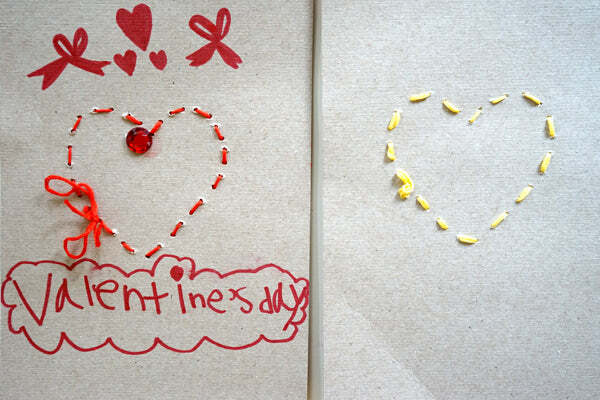 Cut out some paper hearts and place some kid-safe paint in globs in the box. Throw in some washable toys, so they can pick up and distribute the paint. Then seal the box and let your kiddo shake that box. Seriously, let ’em go nuts and really get that paint distributed. Then you can punch some holes in those newly decorated hearts and string them up on your mantle. Get the tutorial, and some cute pictures, at Hands On As We Grow. This one might be tough if you don’t have a child at the age of jarred baby food. If you do, you’re in luck. You can take those jars and create something totally new. 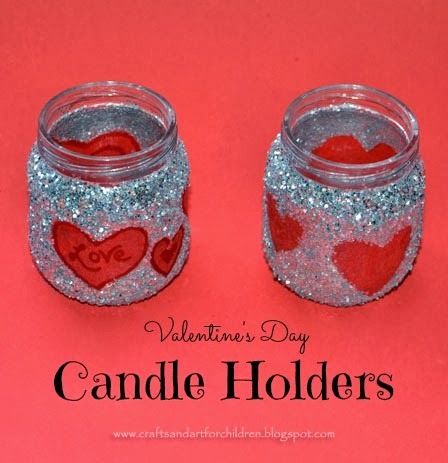 Amanda at Artsy Momma has a great tutorial about turning those jars into glittery candle holders. While these are great for small kids, you can still take advantage of this tutorial even if you don’t have a baby in the house. Just use mason jars instead of baby food jars. 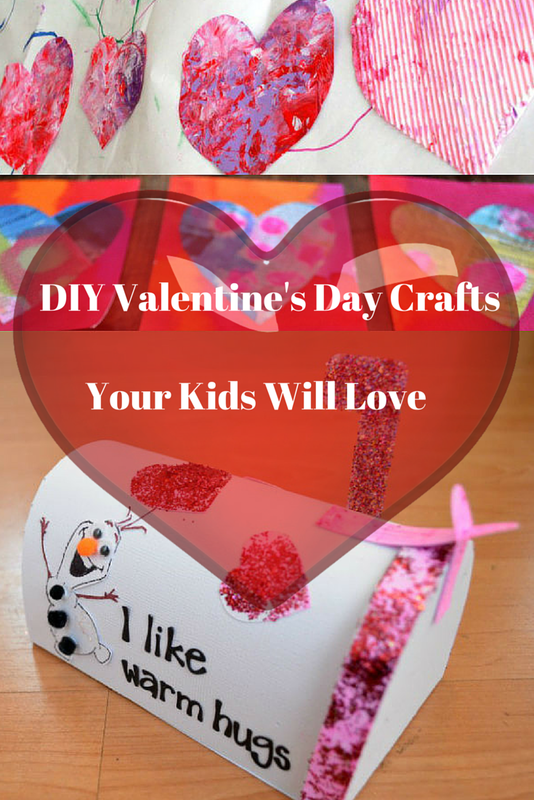 It won’t be as upcycled, but it will still be a great Valentine’s Day craft you can do with the kids. Get the tutorial at Artsy Momma. 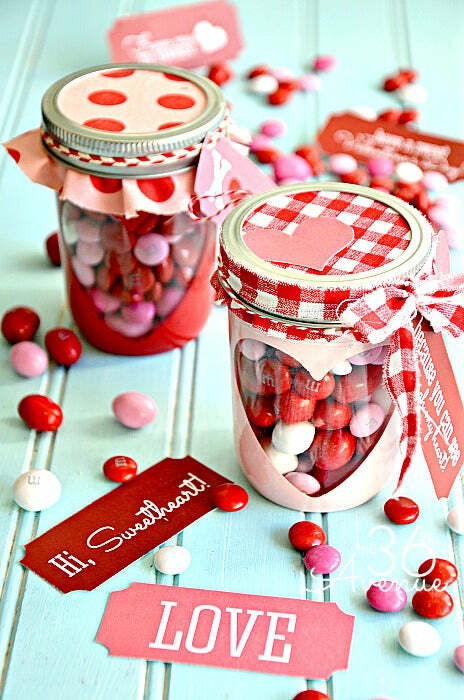 Few people would object if you handed them a mason jar full of Valentine’s Day M&Ms. But sometimes you want to make that extra effort. Desiree at The 36th Avenue has a creative tutorial that you can work on with the kids. The most challenging aspect of the project is cutting out the vinyl, but other than that any kid can handle this project.It even comes with printable labels, which are always fun. These make great gifts for teachers, if that’s still a thing. Kids can also give them to their friends, or whoever else deserves a jar of M&Ms on Valentine’s Day. 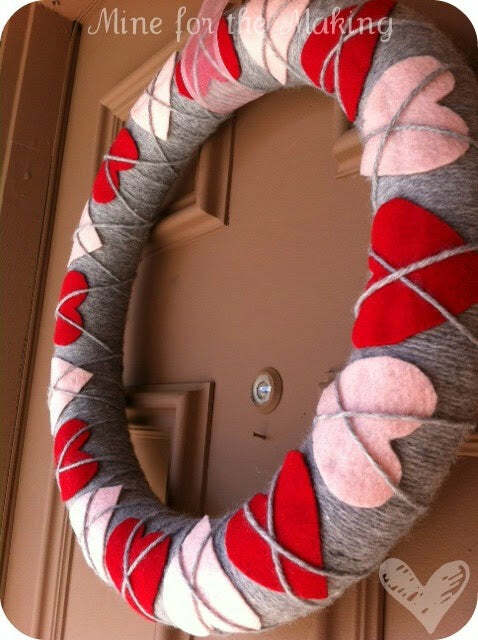 If you do enough of these crafts, you’ll have a well-decorated mantle for Valentine’s Day. 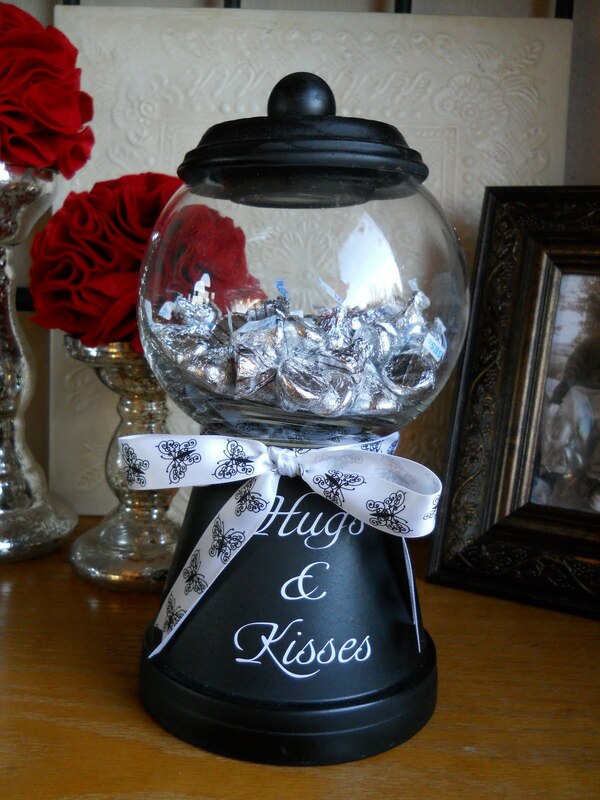 While you won’t be dispensing any gumballs or candy out of this “machine” (hence the quotes), you can create one neat looking candy jar. The kids can have fun with this one, because it mostly involves painting. You start with a small plant pot, which you need to paint. Kathy at Dandelions and Dust Bunnies provides links to many great tutorials that can help you get this one done with ease. She even provides a nifty trick for the lid, which gives this jar that authentic gumball machine look. Get the tutorial at Daneliions and Dust Bunnies. Looking for something perhaps a bit simpler than the above tutorial? Bubbly Nature Creations has your back. All you need for this one are some ornaments, red paper cups, construction paper, and of course some gumballs — or any small candy of your choosing, really. 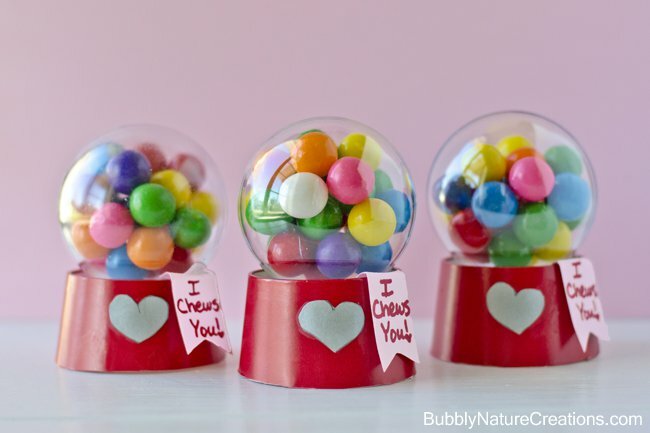 While the big gumball machine is a great gift for someone special, these mini ones can get spread around. If you have enough time, and enough love, you can even make them for your kid’s entire class. They’re really simple, and really adorable. Get the tutorial at Bubbly Nature Creations. Won’t your kids love the idea of making something they can hang proudly from the front door? Help them out with this argyle wreath tutorial and you might just have something you won’t mind hanging up for all to see. It’s a surprisingly simple craft, although you’ll definitely need to be there for supervision, since it involves a hot glue gun. Kara from Mine for the Making really went out of her way with this tutorial. It not only ends up with a beautiful, homemade wreath, but the tutorial itself is very detailed. You and the kids can easily follow along. If you’re reading this list, you probably don’t want to buy those stock Valentine’s Day cards that every kid in the class hands out. Bo-ring. If you’re going to engage in the Valentine’s Day ritual, you might as well go all-in. While we’ve seen some tutorial for cards previously in this list, none is perhaps as creative as this Tootsie Pop tutorial. Hanan at Eat Craft Parent runs us through the process. You’ll need standard craft materials: scrapbook paper, a template, googly eyes, and pipe cleaners. And, of course, some Tootsie Pops. Cut out the butterflies, attach the Tootsie Pop, and write a nice Valentine’s Day note on the wings. Who won’t enjoy these sweet treats? Get the tutorial: Eat Craft Parent.